DigiDop 701 Digital Doppler w/ Digital Display & Rechargeable Battery System. Each DigiDop is equipped with the revolutionary and unprecedented "Digitally Optimized Processing - DOP!" 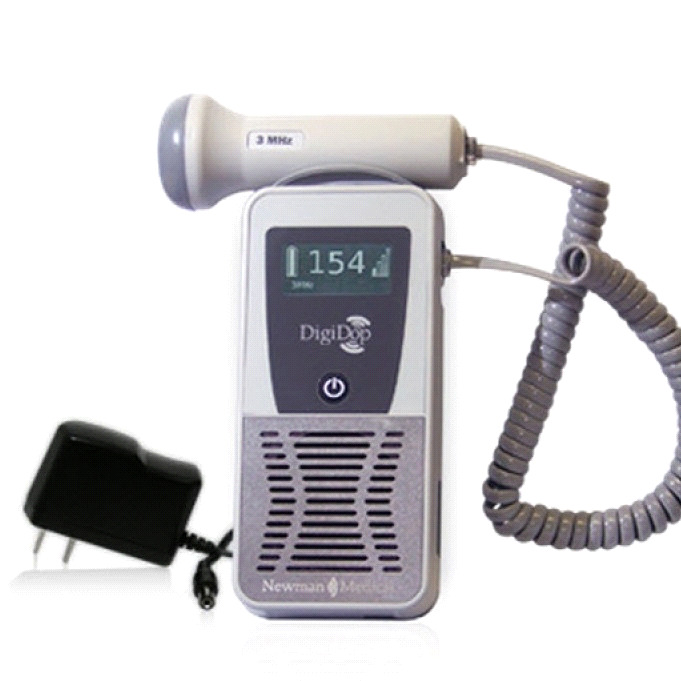 Since the DigiDop is the only digital Doppler on the market, the sounds of fetal heartbeats or vascular blood flow will be louder and clearer than any other Doppler available. The obstetrical probes are extremely comfortable for both practitioner and patient and the vascular probes fit comfortably in the practitioner’s hand. Newman Medical has taken their 30 years of experience and designed the best Doppler ever made! If you have any questions please give us a call (800)355-2956. - Large backlit display is easily seen in either dark or sunlit rooms. - In addition to a very accurate heart rate, display shows battery condition, signal confidence level and probe frequency.